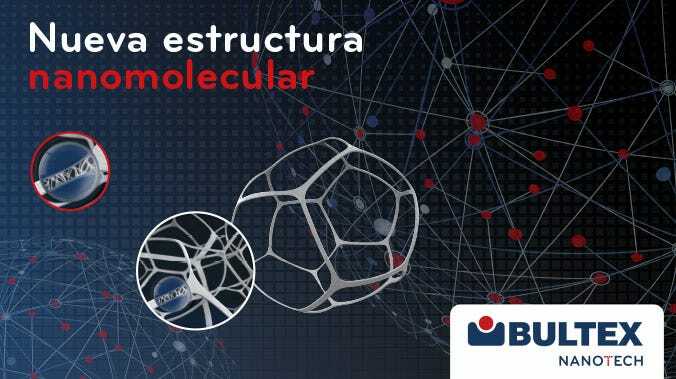 It is the evolution of Bultex®; its molecular structure has been improved, allowing to create a material that maintains the magnificent properties of Bultex®. Its new honeycomb structure makes it lighter and more resistant, favouring hygiene and allowing the use of other denser materials in other layers. Why is it Bultex Nanotech®? Nano, because its nanomolecules provide Bultex® with improved properties, increasing its contribution to resting. Tech, because it is an outstanding technological innovation, involving a step up for the renowned brand Bultex® in the science of resting. Feeling that each area of your body relaxes gradually and waking up with a superior level of well-being. That is Bultex Nanotech®'s mission. Resting science and research at the service of obtaining an improved nanomolecular structure. It offers a super evolved support with the exclusive performance of BULTEX® enhanced to the extreme. The new NANOTECH® honeycomb structure makes it lighter and more resistant, favouring hygiene and allowing the use of other denser materials in other layers. The studies conducted together with the FCBA* demonstrate that Bultex Nanotech® is 22% more durable than conventional Bultex®…and almost 40% better than conventional HR's. Its nanocelular composition provides better comfort by precisely adapting to each area, weight and body shape. Its nanoalveolar structure allows for an improved and continuous circulation of air. Eliminates the moisture produced while sleeping in a swifter and more efficient way, favouring hygiene, controlling the temperature and improving the quality of rest. Its new composition creates a mesh around the nanomolecules that ensures a homogeneous comfort for a longer period of time. It is an investment in smart resting. Pikolin Bultex Nanotech has been chosen the product of 2017. Great Award for innovation 2017, product of the year chosen by over 10,000 consumers.